We asked some of the businessmen that which mobile WordPress themes they’ve used till now. Out of 100%, 90% of the crowd was confused that which one is best. The reason is they didn’t have a good experience in maintaining a WordPress site with those themes. The themes which they used weren’t properly successful to get added to their site. So, to help them & you all, we’ve listed some of the best WordPress Mobile themes which can really transform your website in the best way. Some of them are free while others are paid. Apart from it, you can also earn a secondary income by posting other’s advertisements on your site. This seems a pretty deal! So choose the best WordPress mobile theme wisely! 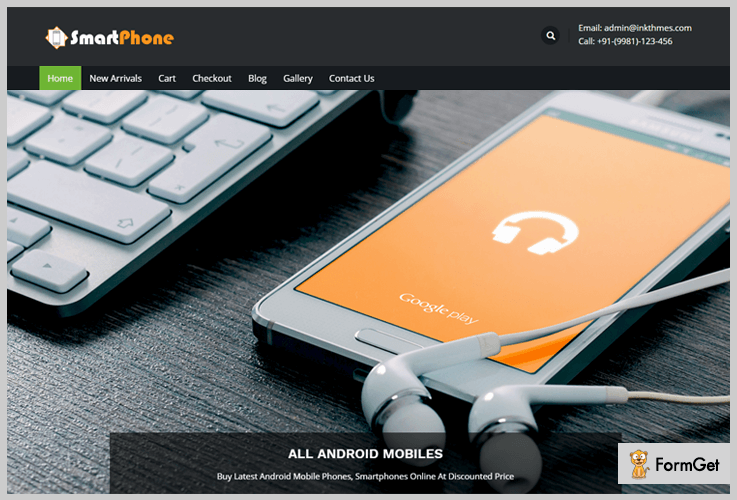 SmartPhone by InkThemes is one of the best mobile WordPress themes in the market. With the help of it, you can build an online ecommerce store of mobile phones & people can buy mobile phones easily. Apart from it, you can showcase the latest mobile phones which are most trending nowadays. This WordPress mobile theme charges only $79 for the lifetime. Along with it, you’ll get regular updates also. You can also add the search icon in the header section. So the visitors of your site can easily find any details they want to. Also, you can post other’s advertisements on your WordPress site. This is how you’ll earn the secondary income too. On its header section, you can add your contact details such as email id & phone number. 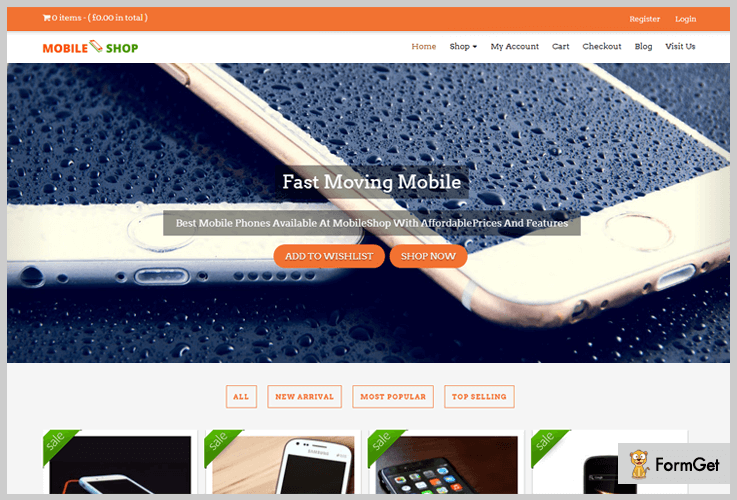 MobileShop is another WordPress mobile theme supporting ecommerce functionalities. Through its seven different color schemes, one can simply transform the WordPress site to an attractive one. You can create the categories of phones & add their listings inside them. This is how your site will look more systematic than your competitors. It charges $79 as a one-time payment. It can also be customized according to your needs. On the homepage slider itself, you can add the wishlist as well as shop now button for the convenience of your customers. Your customers can register & login from the buttons on the header section itself. This is how you don’t have to another login menu. Also, you can showcase your featured mobile phones on the homepage. So the visitors of your site will stick on your site for a long time. 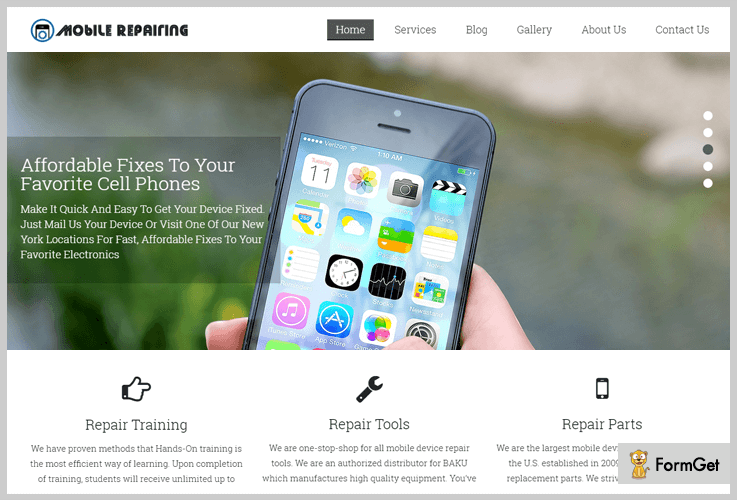 Mobile Repairing is a WordPress theme for the business of cellular phone reparation. Those people who are in the business of mobile repairing & want to extend it online too, this theme is best for them. Your customers can easily contact you by clicking on its contact us page mentioned on the homepage. This WordPress theme charges only a one-time payment of $79 which is a lifetime plan. After purchasing it, you’ll get the instant product access. Its homepage slider has responsive animation effects which can easily attract your new visitors & make them curious. You can add the testimonial sections on the homepage in order to display the reviews of your customers. One can also add the videos on the homepage containing any kind of video related to the business. Figero Pro by InkThemes is a multipurpose WordPress theme with lots of customizations. It comes with a dual parallax effect in which images & texts appear on the left & right. Apart from images, you can also add the elements like videos, GIFs, etc. It has a standard plan of $59 as a one-time payment. With it, you’ll get 24/7 support for the lifetime. If you want to access 49 InkThemes themes then you’ve to purchase them by the 1st payment of $147. From the next month, you’ll be charged only $15 on monthly basis. It has another package of 49 themes & 10 plugins of WordPress at $247 for the first month then $15 from the second month on monthly basis. You’ll be able to use them on unlimited domains. In the recent post section, you can display your new blog posts such that your customers will always be active to your site. You can also add the buttons to the homepage regarding contact form, membership button, payment, etc. On its four column footer section, you can add videos of any category you want to. Harrington by InkThemes is a multipurpose free WordPress theme through which one can easily build any kind of WordPress site. Its homepage images with border give it a casual look. 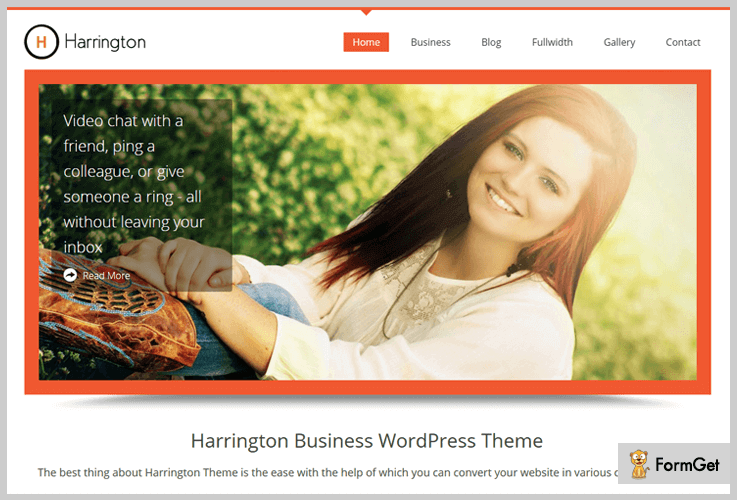 Harrington is a completely free WordPress theme. You can categorize each & every blog post efficiently in order to make your website more appropriate. One can also create a subpage in a parent page to explain the hierarchy of the information which is most relevant. On the footer section, you can separately add your contact number & the copyright text. 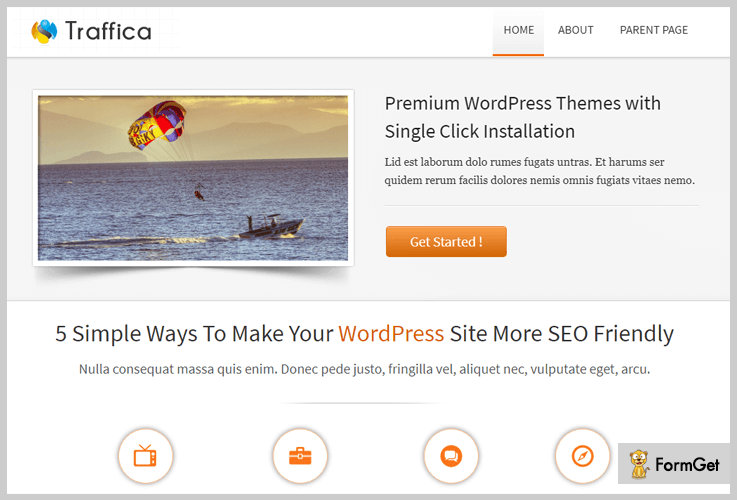 Traffica is another WordPress theme which can also be used to design any kind of business or e-commerce WordPress site. Yes, it is free but it is way too simple to use that even a non-techie guy use it in a couple of minutes. This WordPress mobile theme is completely free of cost. Its six widgetized areas help the admin to make it more attractive by effectively modifying the header as well as the footer section. You can easily add a new content & its icon in the four column feature area. This is how you can showcase the features of your product. On the four column footer area, you can add the elements like testimonials, admin views, pages, a summary of products, etc. 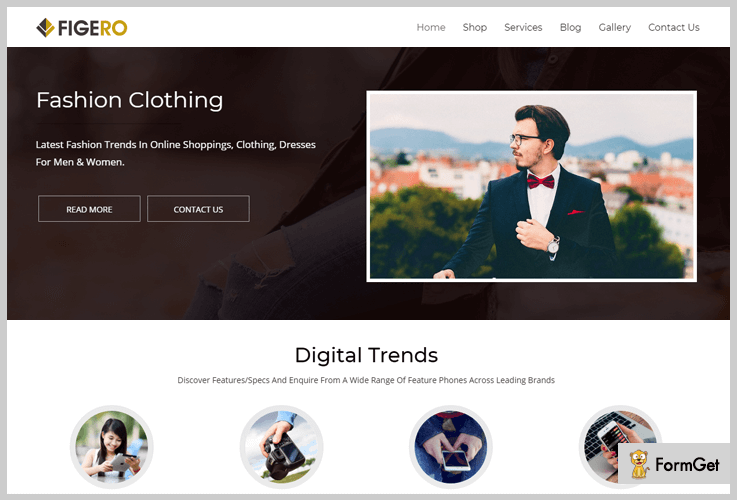 So above are some of the best free as well as paid mobile WordPress themes which every cellular phone businessman should try. You can post the mobile phones on sale & also earn a secondary income by posting ads of others. Some of the WordPress mobile themes can get you more than one theme in their package. So we would suggest you to freely try them out! If you have any queries/suggestions, just comment below & we’ll contact you soon!